I attended the inaugural meeting of the ‘Whitstable Forum’ this evening. It was at St Alphege School at 7pm. I jogged in a bit dishevelled at 7.30ish having passed the kids baton to my husband. 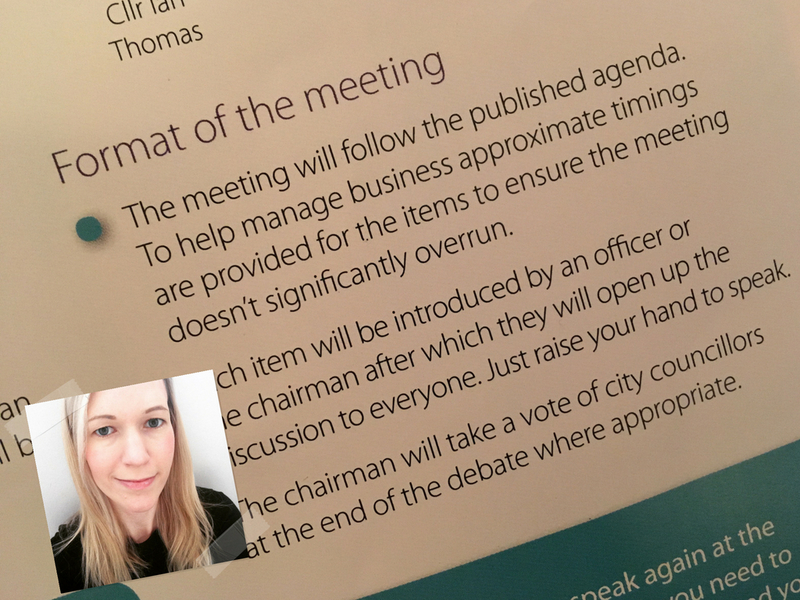 It’s a new style of council-hosted affair, and replaces the old AMP (Area Member Panel) sessions. Being fairly new to local politics, I’d never attended a WAMP so was ever hopeful and idealistic on an exciting, informative and passionate debate on the issues Whitstable residents care about. The set-up seemed simple: all of our local councillors on one side, Joe Public on the other, with a few council officers organising everyone. A nice shiny colourful A4 with pictures and names of each councillor (not their ward, and not their political allegiance) on each seat. Around 100 seats were set, but only 12 residents had turned up. Pretty disappointing, I would have thought, but apparently it was a similar attendance to the old WAMP (Whitstable Area Member Panel). Two local groups had applied for funding for projects, which they put to the councillors. I was tickled at how much like ‘Dragons’ Den’ it appeared – and how arbitrary and politicised the decisions were. The rather excellent sounding Repair Cafe was refused its full funding request, with a comment from a Conservative councillor that she couldn’t understand why there was a column for Volunteers’ Expenses. “Surely the point is that they are volunteers?” – um, even volunteers have to use transport and eat, even if we don’t pay them? The Conservatives’ proposed amendment of a reduced sum reduced the applicant to protests that it would prevent the project from happening at all, and despite protests from myself and Bernadette Fisher, sole Whitstable Labour councillor, the somewhat robust Conservative chair Ian Thomas pushed it through anyway. The excellent Talk of Tankerton group of local business owners were successful in their detailed and financially savvy application for funding for community events to push consumers towards Tankerton, which has suffered from council neglect. Councillors were unanimous in passing their bid for funding. The next item on the agenda was the Gorrell Tank car park, and the councillors struggled to hide their boredom over this one – concerns over access were brushed off as ‘well, it is what it is’ by Brian Baker, leader of the council, and ‘well, if we designed a car park now, it wouldn’t look like this, but it is what it is’ by Neil Baker, current councillor for Tankerton (also Conservative). A local business owner expressed concern that Southern Water were not being fully held to their responsibilities to keep the car park functional, and they were dismissed. It was an interesting evening. Would I attend another Whitstable Forum? Yes, I would. I’d like to see a far broader representation of the community, though. If the purpose of the rebrand was to get a better turnout, or a wider demographic, it was not successful. The two applicant groups for council funding, and some local business owners made up the majority of the attendees. One local resident was teased by Neil Baker for suggesting a parking idea he found amusing – the culmination of an evening that felt very Us and Them. Surely an effective council should be aiming to engage and value its residents? All of them, not just the well written funding bidders. The nervous first time attendees and less than coherent speakers are exactly who should be encouraged to take part in these new style of meetings. That’s democracy. But perhaps, just perhaps, our majority Conservative council are happy with the way things are. Increased local attendance at meetings would almost certainly be increased anti-Tory. The inertia of some of the local councillors would be fiercely challenged by many of the civic-minded people in Whitstable who currently see council meetings as Boring. And – I’m not sure they’re wrong. Details of future meetings of the Whitstable Forum can be found on the council website.